"Alexa, say hot water ..."
At the end of the year, this will be sounded at hand wash basins, at the sink in the kitchen, in the shower and bathroom. 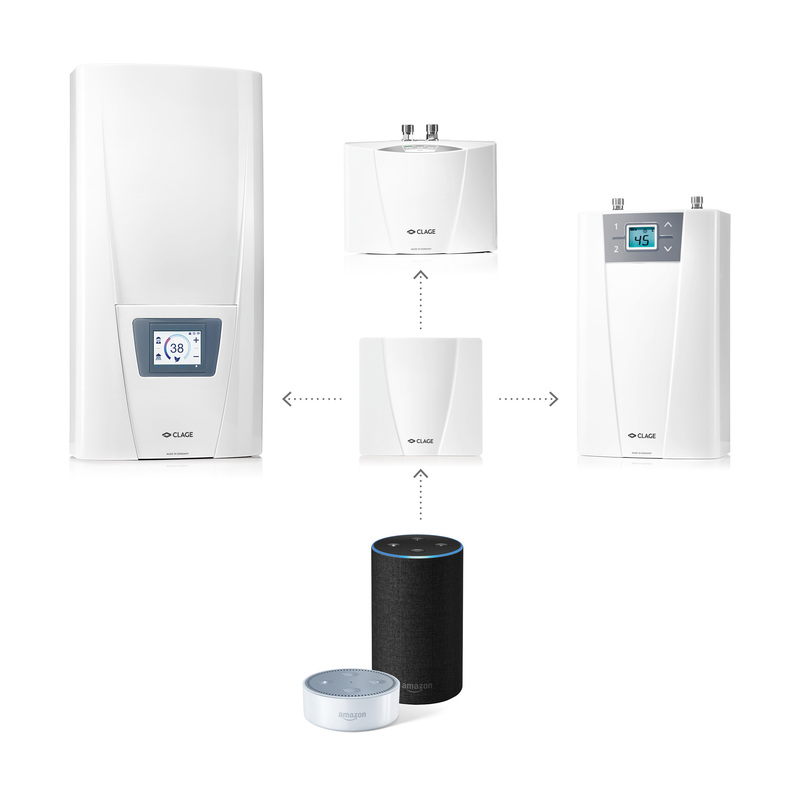 From end of 2018, CLAGE instant water heaters will be able to communicate with the Amazon Alexa of Amazon Echo via the CLAGE Home Server. Setting of temperatures, checking flow rates and many more features will be available soon. CLAGE will show a first version at the fair Architect@Work 2018.